Enjoy improved Wi-Fi coverage and performance at home with one easy solution. 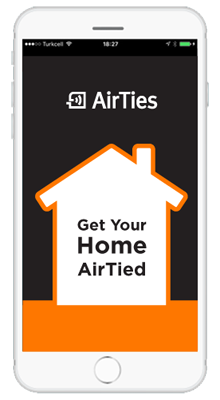 AirTies Home Wi-Fi Mesh products allows for the delivery of superior quality Wi-Fi throughout your home eliminating dead-spots while boosting performance and stability. Improved coverage and performance (1600Mbps). Drastically improves stability and survivability. Quick setup using mobile application. Add more mesh nodes to increase coverage at the press of a button. Intelligent client and band steering features ensure seamless handover while moving around inside your home. High speed Wi-Fi in every corner of your home, no matter how big it is. 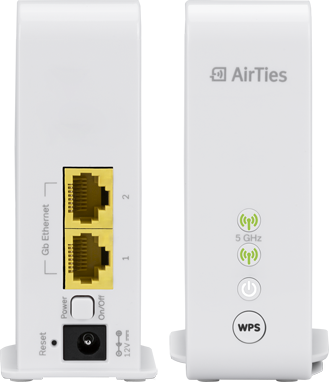 While streaming HD videos over 5GHz with the super-fast 802.11ac technology, the Air 4920 also provides the best possible wireless performance for your legacy wireless devices over 2.4GHz. The mesh consistently analyses the location, status and performance of each of your Wi-Fi clients and actively hands-off the client to a better positioned mesh node ensuring maximum performance without any decision-making or manual action from the client. Disconnect one mesh node and the Wi-Fi network survives. Should external noise or interference be experienced, the mesh intelligence avoids that link until the interference ceases to safeguard performance. 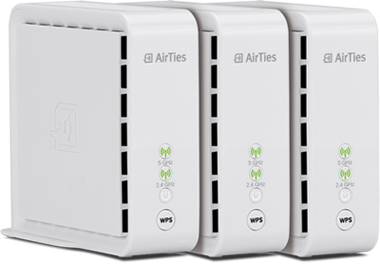 The Air 4920 mesh nodes are shipped pre-paired as a triple-pack so no complicated setup is required. All mesh nodes broadcast the same SSID and use the same password, so no more manual switching between networks. Management of wireless settings and initial installation are catered for via a user-friendly mobile application. Changes performed on the application (or any one of the mesh nodes) propagates to the rest of the mesh for maximum ease of use. 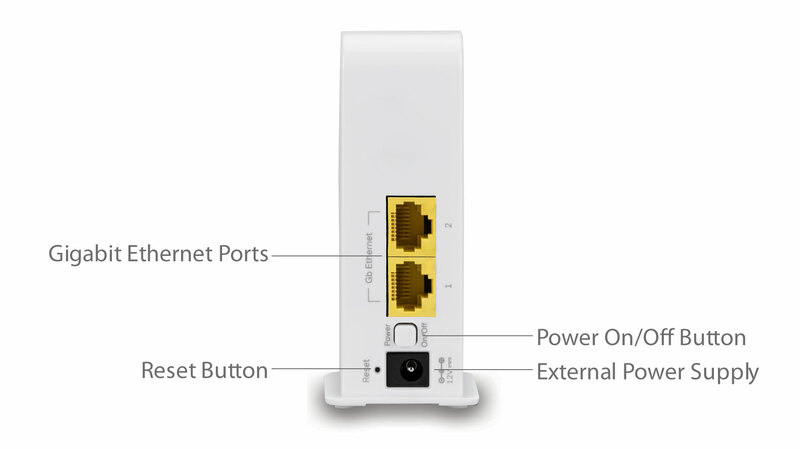 Push the WPS Button on the Air 4920 to securely configure the device on the wireless network. Add more access points and extend the mesh network the same way. Delivering reliable, 100% wireless coverage range in every home top to bottom, back to front has long posed a major challenge for many home owners as well as service providers. 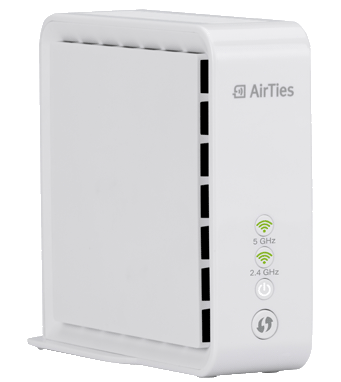 The AirTies Mesh optimises wireless coverage in the least invasive and most power efficient manner. 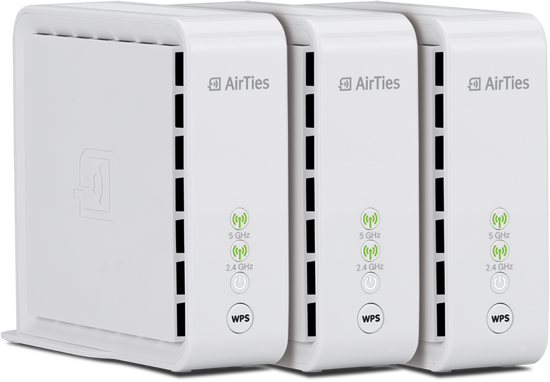 By stringing together a series of small, cost-effective, and smart access points, the technology ensures 100% wireless coverage in any home. 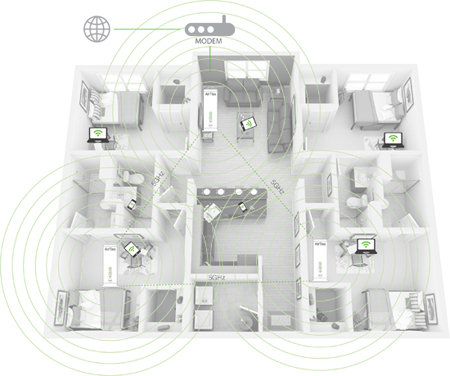 Personalise Wi-Fi – change settings for one Access Point; network follows. Visualise Wi-Fi – display what is happening in the Wi-Fi Network using the mobile application. Setup the mesh using the user-friendly mobile application. Your mesh network health and performance are visualised for maximum awareness. Manage guest access while tracking who is connected to you network using what mesh node. Conveniently perform speedtests from the application to assess network speeds in different locations. CE, FCC, IDA, NTC, Wi-Fi Alliance, Code of Conduct Energy Efficiency. Finally, High speed Wi-Fi in every corner of your home! 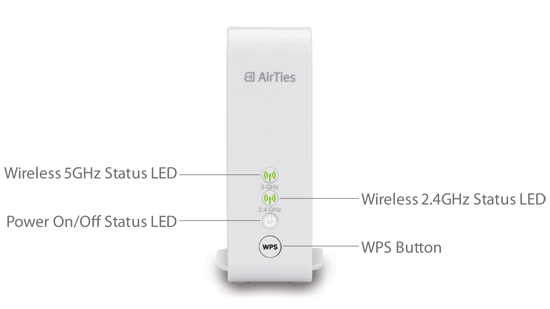 AirTies Wi-Fi App turns you into a Network Guru in seconds. To visualise your network map with performance data. Control the devices connected to your network. Create a Guest Network for your friends. Switch your Wi-Fi network on and off. Change your Wi-Fi settings on a single menu.